August 31st in Plugin Lists by Wordpress Jedi . WooCommerce Sales Countdown: shows a countdown box on your site to let your customers know how much time they have left to purchase discounted products. Delivery Countdown Timer: adds a delivery countdown timer to your website, allowing your visitors to see when they will get their things. You can change delivery and cut off times in the backend. 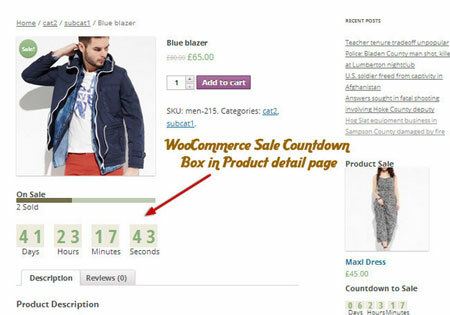 WooCommerce Coupons Countdown: lets you add coupon countdown timers to your website. Coupons can be limited to customers who have purchased certain products. 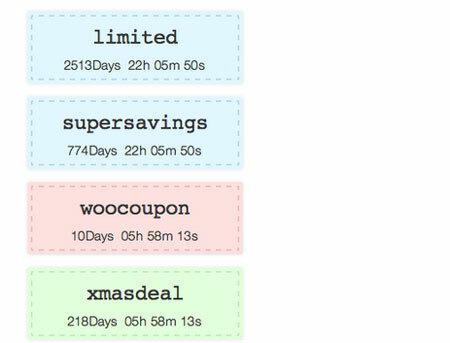 Have you found better coupon countdown plugins? Please share them here.